With Topps New MiLB Exclusive, Have Razor, TriStar, and Just Minors Become Obsolete? Yes and no. How's that for an answer? Fortunately for all 3 companies, they have other existing product lines outside of prospect oriented baseball products. Just Minors being the exception but having developed products in recent years that are more reliant on memorabilia than trading cards. In all honesty, this was a very necessary streamlining for the marketplace. The plethora of collegiate, and minor league brands on the market was becoming very convoluted. 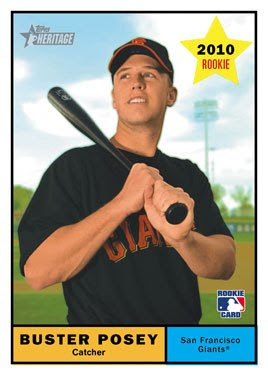 Perhaps Topps can finally return Bowman to its former glory as the true, "Home of the Rookie Card" now. I know in the past I have complained about the evils of exclusive licensing, and while my feelings on this particular deal may seem contrary to previous posts, I think this might be the exception to the rule. It will be interesting to see how things shake out with regards to the inevitable conflicts that will arise from Upper Deck having a collegiate license and Topps having a MiLB license, with many players having cross over to each category. What will this mean for prospect collectors? Who will have the edge a licensed MLB affiliate or a collegiate card where a prospect first gains notoriety? These and many other questions will be answered in the coming months. If one thing this year has proven when it comes to the sports collectibles and trading card market is that they only for sure thing is change. I liked the aggressive posture and marketing Brian Gray and Razor brought to the market so I do feel sorry for them but given the success of their recent Sports Icons and other cut auto products I am confident they will continue in their success. What are your thoughts on this recent announcement? Go Daddy, who has been a sponsor for Danica Patrick and Andretti Green Racing on the IRL circuit, will now be the primary sponsor. Her new car was unveilved today on "Good Morning America". You can read the offical PR from the Izod Indy Car Series here. The system is broke. The election system to Cooperstown has several flaws, most notably being that the Veterans Committee has turned it into their own exclusive boy's club that appears to not want to add deserving players over politics, opinion, and innuendo. 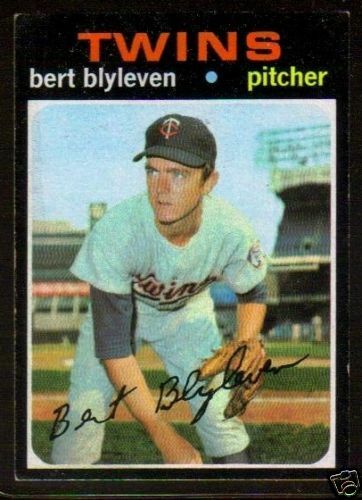 "How is Bert Blyleven not in the Hall of Fame? At 19, he was the youngest player in the majors in 1970. The former big league hurler was 287 and 250 with a 3.31 ERA w/ 242 complete games, 60 shutouts, won 20 once, 4969.99 IP, 4632 hits and 1322 walks, 3701 K’s, was once 19-7 and 17-5. He played for the Twins, Indians, Pirates, Texas and the Angels. He had one of the best curveballs ever! He pitched a no-hitter. His playoff and World Series numbers speak volumes LCS 24 IP 3-0 2.59 ERA, WS 23 IP 2-1 2.35ERA. When he retired he was the second active K leader to Nolan Ryan. He is #11 all-time in games started. Eight out of the 11 are in the Hall and Greg Maddux will be the ninth! He played 22 seasons. If you want to compare him to somebody look no further than Phil Niekro. Phil had 318 wins and 274 losses pitching in two more seasons. He did have three 20-win seasons but after that he pales in comparison. Niekro struck out 3,342 a nice number but not the same. His career-ERA is higher at 3.35 as compared to a 3.31. Niekro had 45 shutouts as compared to Blyleven’s 60. Niekro’s LCS numbers are weak, 0-1 with a 3.86 ERA. If he doesn’t get in because he has 287 and not 300 wins then that’s stupid. Remember Dave Kingman had 442 home runs with a .236 batting average. Would he have gotten in with 500 home runs and that batting average? Is a home run more important than a win or just more fashionable? Here are some players that are in the Hall with less than 500 home runs; Lou Gehrig 493, Stan Musial 475, Willie Stargell 475, Dave Winfield 465, Carl Yastrzemski 452. All of these players are in the Hall of Fame. Milestones help gauge a player’s greatness but milestones change as the game changes. There will be a lot of players in the future that will get a lot less than 300 wins and Blyleven should get in. He deserves it." His 1971 Topps RC, with the infamous, condition sensitive borders can be readily found on eBay and won't cost you an arma and a leg. Great content from around the web- Movies, Music, TV, News, Gossip, Sports, The Hobby, video games, comic books, autographse, auctions, technology and more. Healthy family, good friends, a job . . . these are just a few of the things I'll be giving thanks to God for today. In the meantime, for all of you out there considering deep frying a turkey, enjoy this public service announcement and remember that Universal Laboratories refuses to put its seal of approval on ANY fryer on the market, so be careful. The difference between Donruss (the philosophy started with that company) now Panini and other companies is that they believe in building upon their brands. None of these designs have been done in basketball before obviously, but they feel that name recognition for 'Elite,' for example, in every sport they do is important. Personally, I think it's trendy to rip them for this. Other companies have been doing it, too, for some time. However, they don't do it as much." Ugh . . . ok. Or it could be a lack of innovation and risk taking, creativity, initiative, design talent, or a combination of one or several of these elements. When you collect with as much passion and over such time as some of us do, you grow attached to certain brands. So much like a long lost friend T-206 returns just in time for the holidays. It's always amazing how quickly master sets and vintage era relics hit the secondary market. Here is a quick look at some of the more "high-end" vintage hits that caught my eye. * 2009 Elite Extra will also picture a handful of all-time greats as high schoolers or collegiate players including Pete Rose, George Brett, Nolan Ryan, Al Kaline, Mike Schmidt, Will Clark, Dwight Gooden, Don Mattingly, Reggie Jackson, Wade Boggs, Mark Fidrych, Barry Larkin, Jim Palmer, Fred Lynn, Robin Yount and others – and each will have autographs in the program. 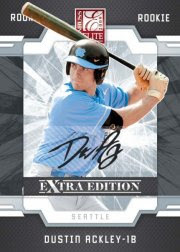 * Private Signings – a new insert featuring autographed sweet spot ball material from this year’s draft prospects (including Dustin Ackley and Donavan Tate) and some all-time greats, and #’d to 100 or less"
You can see more preview images here. It's still on the front of the card, which I hate, but it's a start. As you can see from the recently released preview images of 2010 Heritage, the new RC logo has been downsized and made to incorporate the MLB logo and color scheme. What do you think? Or will it be this one? Hmm two different RC logos on the image mock-ups for the 2010 Topps Heritage sell sheet. Kid friendly, or so the manufacturers think. Kids hate being pandered to and treated like kids but that is what Topps will deliver yet again with Opening Day baseball. Don't get me wrong, I think a .99c product filled with the game's biggest stars and cool inserts is a vital marketing component for The Hobby, I just think they need to lighten up on the whole "kid friendliness" thing. See the complete sell sheet, checklist and preview images here. This set design is clean and fabulous and the price is good at around $88 but unless you get some of the top rookies of this year’s class you just might roll a snake eyes like I think I did. This rookie class boasts LeSean McCoy (Eagles), Matthew Stafford (Lions), Brandon Pettigrew (Lions), Mark Sanchez (Jets), Michael Crabtree (Niners), and I didn’t get a card of any of these guys. Some of mine have talent, but how much? 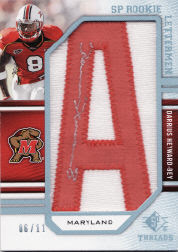 I got two autographed letterman patch cards, pictured in their college uniforms, and I guess it’s a timing issue because this set took a long time to put together and had to be submitted early. Read the rest. With Panini now having the lone NBA trading card license, one of the things many collectors including myself were excited about was the prospect of seeing NBA stars within some of the most well known trading card brands including Studio, Certified, Limited and today’s topic – Rookies & Stars. The first product to feature their new spokesperson Kobe Bryant on the packaging, 2009/10 Panini Rookies & Stars offers collectors a box with 24-packs in the $75 to $80 range. On average, a box should supply a combination of four autographed or memorabilia cards, plenty of rookies and scads of parallels, enough to drive a collector mad trying collect them all or realizing there’s no chance of collating some of the limited edition, sequentially numbered collectibles without getting a second mortgage on their house. The second Panini release is upon us, and with the holiday season coming up quickly, I cannot recommend a better basketball product for the fan in your house. 2009/10 Panini NBA is a steal at around $45 per 36-pack box. This slam dunk offers a 400-card made up of 300 veterans and 100 rookies. If your box is collated well, you should complete the 300-card veteran set from a single box. It’s accompanied by plenty of parallels, inserts and even a few duplicates to elate the longtime or brand-new collector. This is the kind of set that I am thrilled is still part of this wacky hobby. Read the rest and see what we pulled with a full image gallery. Now, more than ever, WOM (word of mouth) advertising and UGC (user generated content) is key to the success or failure of a brand, product, business or service. From Angie's List to Yelp, consumers have the ability to add immense value to a company's image or, conversely, irreparable harm. Social Networking, and its intrinsic ability for a marketer to engage and influence its consumer audience with regards to buying decisions, is something that many organizations, in and outside, of The Hobby struggle with. Social Network Marketing essentially takes WOM to a whole new level. In the past, when a consumer was dissatisfied with a company regardless of reason, the end result, after the process of calling customer service, writing a letter if need be, etc, was ultimately complaining about it to a friend over the phone or over lunch. Then much like the old commercial, " . . . and then they told two friends, and they told two friends, and so on and so on and so one." In today's "plugged in" media age of social networking and online communities like Blogger, Twitter, Facebook, My Space, YouTube, Pandora, Last.FM, Digg, StumbleUpon, Redi, Bebo, Linkedin, just to name a few, it is more important than ever to have a say in the voice of your brand, product or service, and engage with your target market in a way that is not only informative but creates what any company wants- brand loyalty. Information Dissemination- Getting product information into the hands of your target market. Audience Engagement- How do you interact with the people you are disseminating your information too? Are you engaging or broadcasting? Driving Web Traffic- A company's website is still the core or hub of which all other technology related marketing efforts revolve, whether that be mobile marketing, social networking, etc. We'll also refer to the following matrix to show you their presence (or lack there of) on various social networking communities. 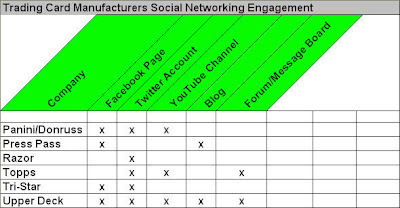 The clear leader in audience engagement and not simply due to their use of every featured social networking channel. It's not enough to simply have one of these elements, it's how you use it. Upper Deck makes excellent use of every opportunity to provide collectors multiple means of distributing product information whether that be about upcoming products, redemptions or including them in the conversation for choosing players in a checklist and soliciting content ideas. Through the use of their @UpperDeckHockey Twitter account for example, they have shared with collectors information on the signing process for various athletes, and have even asked collectors who to include and who to feature on dual autographs. The designated account users even reply to user submitted questions both publicly and privately through direct messages and public replies. Upper Deck's Facebook page provides collectors a wealth of product information and new posts to their fan page are also auto updated via Twitter. From image galleries to contests, redemption status to events, their integrated use of multiple social networking platforms by multiple brands (Upper Deck, Upper Deck Retail, Upper Deck Blog, Upper Deck Hockey) helps collectors feel valued and connected to the best interests of the company's design and marketing efforts. They even accept user generated content via their blog and video channels on YouTube but more typically through their self branded video outlet, Diamond Vision, where they have encouraged users to submit their video box-breaks. Hosting UGC is one of the most cost-effective advertising tools and has carry over value with WOM and Social Networking through the potential to "go viral" where a popular video simply explodes with views, in essence acting as a free commercial. Upper Deck also provides a relatively new Message Board community for collectors to network. The moderation is fair, accepting constructive criticism to be posted. They could do a lot more as far as promoting the community message boards to grow the audience and their moderators need to replicate their engagement efforts on Twitter and Facebook to make the environment more of a two-way dialogue. Panini is still trying to feel their way through the social networking phenomenon. But has at least identified it's importance by being a relatively early adopter of channels such as Facebook and Twitter and YouTube. However, the company has failed to use them for audience engagement instead deciding to use them for strictly broadcasting and information distribution purposes. While currently using only two channels (Twitter and Facebook) they use them frequently. unfortunately they use them strictly for broadcasting and information distribution purposes similar to Panini. Unfortunately as you might imagine, as we reach the lower ranks, we are starting to see a noticeable trend, and that trend is lack of engagement. They have a rarely used Twitter account but to their credit when they do use it, it is to disseminate very useful information above the simple announcement of a product being live or posting preview images. Topps has used Twitter to notify collectors about fulfilled redemptions, and as most collectors would agree is a very beneficial piece of information. 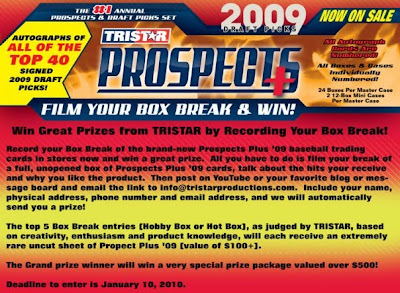 Topps does provide a Message Board and was actually a very early adopter of this. Their moderator is fair and engaging. However, amazing to note, they do NOT have a Facebook page, which to me is almost unthinkable in this day and age. To Topps credit they do actively embrace the brick and mortar Hobby shop and it's patrons by hosting product "Rip Parties" that they the feature on their YouTube channel. Until recently, they have always been a little standoff-ish with collectors preferring to keep them at arms length, with very little in the way of any engaging or interacting with their audience. They have recently engaged the blogger community and even have a Blog of their own which details some cool behind the scenes look at collectibles in production. Their Facebook page is primarily used for communication information with little talk-back via the comments section. It's almost not even fair to put them on the list. As a much smaller company they have fewer resources to allocate for such marketing efforts. However, that said, Brian Gray, the President and CEO is the most accessible person a collector will ever find ,with his personal email address in a prominent and visible position on their website. Brian will take and return your phone calls as well. So when it comes to social networking the direct connection of going straight to the source for answers and information can't be beat and for that he deserves a lot of credit and respect. He does have a Facebook page place holder and you'll even catch him sending out the occasional Tweet but if you really want information on Razor, forget the bells and whistles and enjoy the luxury of going right to the CEO. Great content from around the web- Music, Sports, News, Photography, Technology, Collecting, Sports Business, TV, Movies, Entertainment, Comic Books, Video Games, and More! !